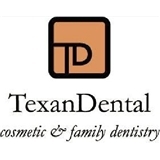 Texan Dental / TD Family Dentistry (Katy) - Book Appointment Online! At Texan Dental, P.A., our priority is to deliver quality care to informed patients in a comfortable and convenient setting. Quality Care When you have dental problems, you need to turn to a dentist who listens and responds … an experienced team that knows the field and can effectively diagnose and treat your needs … friendly dentists who counsel you on the best ways to maintain and improve your health. Our dentists meet all these criteria. Plus, you benefit from a dedicated team of trained professionals who give you the individualized attention you deserve.